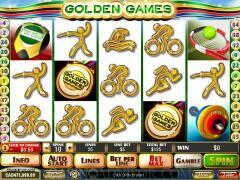 The Golden Games slot machine game is one of the new online slot games that have been introduced by Playtech. The game is played in 5 reels and 25 paylines, which means that there are five spinning reels, and 25 different ways in which the winning combinations are checked for. The game is a tribute to the various sports championships that take place around the world and features various athletic events. 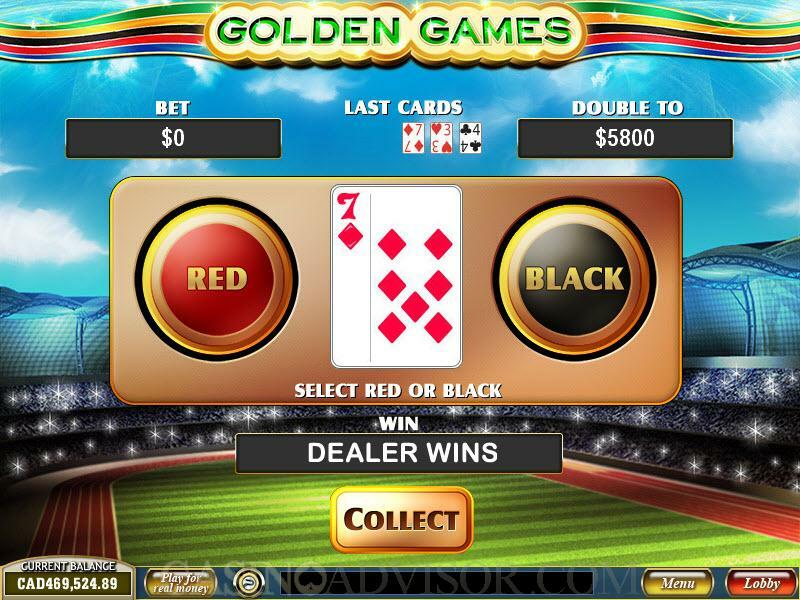 With a minimum bet of $0.01, this game is suitable for both low rollers as well as mid-rollers, because there are number of betting options which the players can choose from. The games featured in this championship include track events like running and cycling, field events like short put and javelin through as well as tennis and basketball. This means that anyone who has a passion for sports will enjoy playing this game. 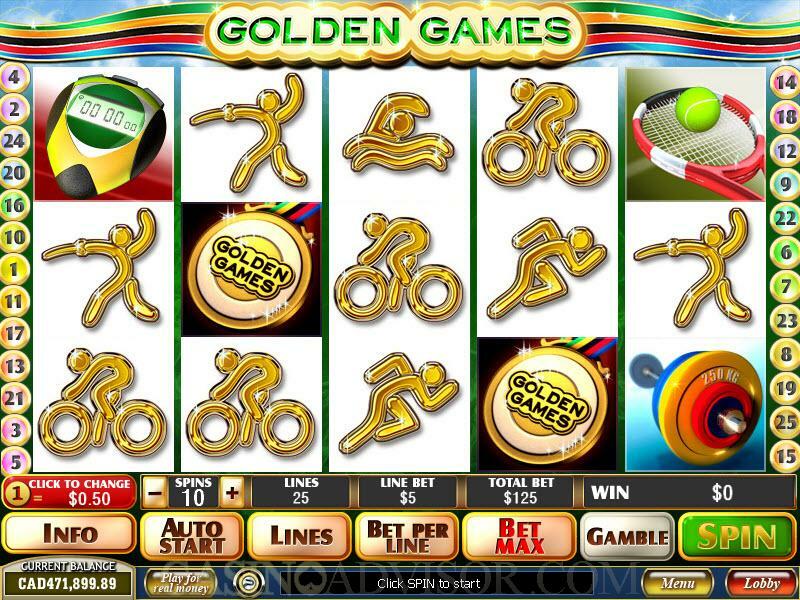 The symbols in Golden Games are the regular symbols, wild symbol, scatter symbol and the bonus symbol. The regular symbols are the Stopwatch, the Tennis Racket, Basketball Hoop, Dumbbell, Cyclist, Short put thrower, Javelin Thrower, Runner and Swimmer. When three or more regular symbols appear on any one activated payline, there is usually a payout. The Medal symbol is the wild symbol in this game. The wild symbol, when it appears on the reels, substitutes for other symbols to form a winning combination. This symbol does not substitute for the scatter or the bonus symbol. The scatter symbol is the Discuss Thrower symbol. This symbol can appear anywhere scattered on the reels. When this symbol appears more than twice, then the scatter winning combination is completed. The payout for these combinations is in the form of a multiplier that multiplies the triggering bet to determine the payout. The Bonus Torch symbol is the bonus symbol, and when it appears on both reel #1 and #5 simultaneously, it triggers the free spin bonus round. In this round, the player can win 20 free spins. All payouts in the free spin round are automatically doubled. 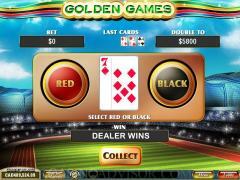 Interested in reading more detailed information about Golden Games? If so Click Here for more details.